Copastors Kent Carlson and Mike Lueken tell the story of how God took their thriving, consumer-oriented church and transformed it into a modest congregation of unformed believers committed to the growth of the spirit--even when it meant a decline in numbers. As Kent and Mike found out, a decade of major change is not easy on a church. Oak Hills Church, from the pastoral staff to the congregation, had to confront addiction to personal ambition, resist consumerism and reorient their lives around the teachings of Jesus. Their renewed focus on spiritual formation over numerical growth triggered major changes in the content of their sermons, the tenor of their worship services, and the reason for their outreach. They lost members. But the health and spiritual depth of their church today is a testimony of God's transforming work and enduring faithfulness to the people he loves. Honest and humble, this is Kent and Mike's story of a church they love, written to inspire and challenge other churches to let God rewrite their stories as well. Read it for the church you love. "The honest story of two courageous pastors who dared to change the ethos of their church from a membership focus to a discipleship focus, from catering to consumers to creating Christ-followers. Their story will inspire you." "Bold, courageous, humorous and refreshingly honest! Carlson and Lueken invite us into a journey that few churches would ever attempt—shifting their church from a 'consumer driven' church model to a 'disciple-making' church model (a novel idea!). 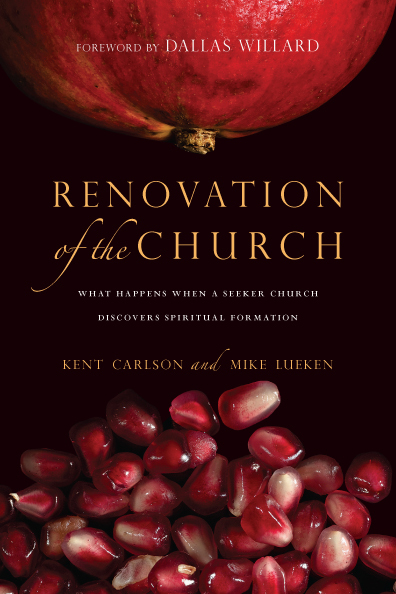 Renovation of the Church is a must-read for every pastor, church leader or seminarian who longs to see the church fulfill the heart of its mission!" "This book is a breath of fresh air that brings with it the aroma of hope—hope that maybe, just maybe, there's a different way to do this thing we call church. But more than just a different way, Mike and Kent began with a different desire—a desire to be part of a community of faith that was characterized by something beyond success, a community that would actually begin to resemble the character and fragrance of Christ. Their journey toward fulfilling that desire has been a long and difficult one—costly too! But if you're like me, you'll find it full . . . of hope." "The release of Renovation of the Church is a bright day for the church. Carlson and Lueken offer a wonderfully candid, bold book about the journey of a church that stopped appealing to religious consumers and started producing disciples of Jesus." "The Western church desperately needs conversations around what local church activities look like in light of the gospel of the kingdom: pastoring, outreach, worship, teaching and forming people spiritually. 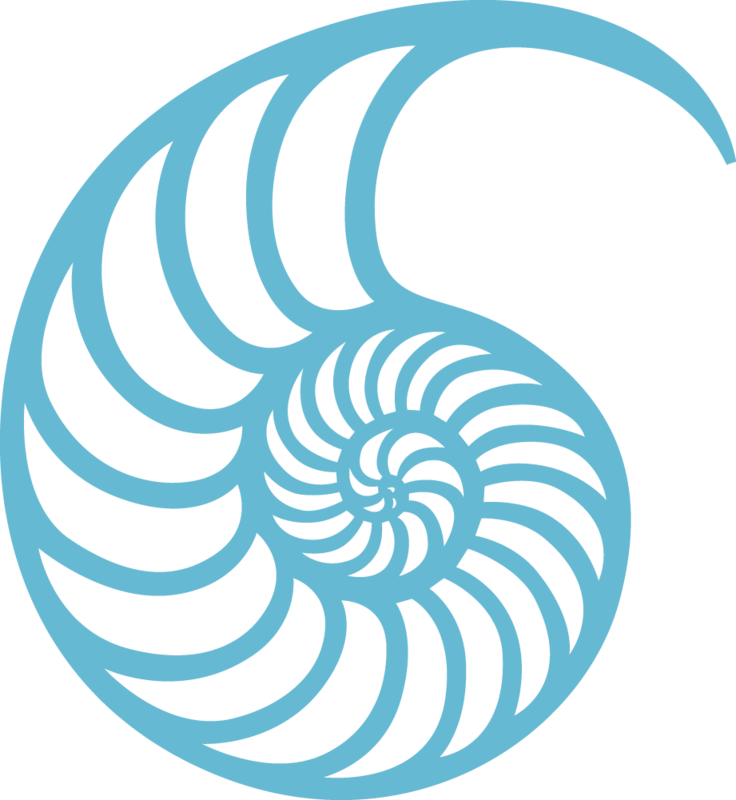 Kent and Mike have done the hard work of thinking about and living these things, helping the rest of us know where to start and what to do." "Kent Carlson and Mike Lueken love the church—not an abstract one, but the one that meets: here and there, down on the corner, or in a warehouse. They love their church. . . . Please read this book and creatively apply it to your situation, with The Teacher beside you. You don't need more money or new facilities. Just begin where you are and all else will take care of itself. No, God will take care of it." 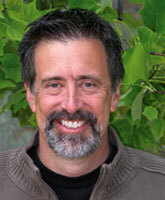 "[This] book provides a view into the evangelical world and culture and some of its struggles. The lessons are transferable to mainline churches facing similar issues." "Renovation of the Church is a modern story of God's influence and following his word, despite the consequences and opinions of others, highly recommended." "I do not know of a church that has more thoroughly applied what Renovaré cares about to an entire congregation than Oak Hills Church in Folsom, California. Read this book to help your church catalyze the kingdom life of God that is within us and between us." 9 Spiritual Formation: Do You Really Want to be Healed? Kent Carlson is vice president of leadership formation for the North American Baptist Conference, shepherding the spiritual formation of pastors, regional ministers, and Christian leaders throughout the conference. He is also pastor emeritus of Oak Hills Church of Folsom, California, which he founded in 1984. Kent is a graduate of Trinity Evangelical Divinity School and lives with his family in the Sacramento, California, area. 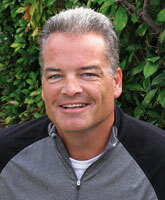 Mike Lueken is copastor (with Kent Carlson) of Oak Hills Church of Folsom, California. He is a graduate of Trinity Evangelical Divinity School and lives with his family in the Sacramento, California, area.